A wasp is a slender insect with a narrow abdomen and a powerful sting. 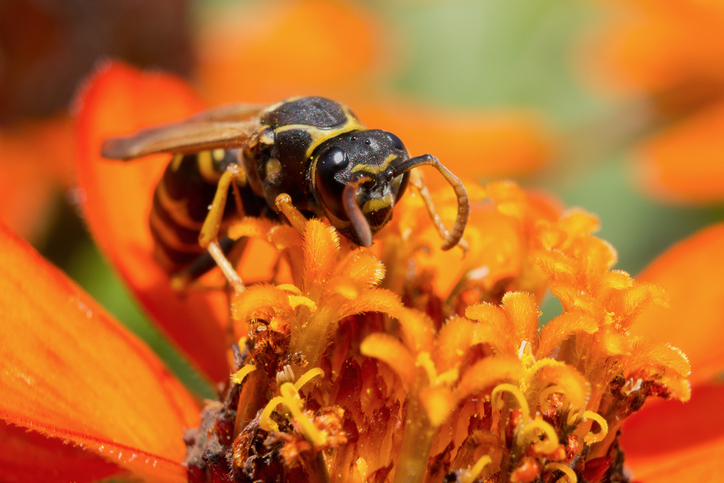 Yellow jackets and hornets are two types of wasps. Other wasps kill other insects, making them important in pest control. The Wasp is a Marvel Comic superheroine and one of the original Avengers. She can shrink to just a few centimeters and attack her enemies with fire blasters. She is featured in the 2018 movie Ant-Man and the Wasp. Watch the trailer. There are other meanings of wasp.